Lucinda will be hosting our third Knutsford Breakfast Club at our brand new venue Wine and Wallop. Lucinda has been a loyal Mum Clubber from the beginning. The beautiful Cheshire born and bread Mum of one gorgeous 17 month old Rex juggles motherhood and a full time job as brand manager for Wowcher & Living Social. Now she wants to host a breakfast- HELLO MULTI TASKING DREAM WOMEN. She also loves animals, yoga LEOPARD PRINT, GIN, COFFEE, CHAMPAGNE- COULD SHE BE MORE US!!!!!! Tickets include Breakfast, One hot drink & an extra special TMC goodie bag filled with joy! Smashed avocado, toasted sourdough, poached egg, confit chilli. *All served with choice of any tea or coffee. Please note any extra coffees & teas will be charged to the individual. *Please state any dietary requirements before the event. This event is designed for like minded mums or mums-to-be, to come together to eat some delicious healthy food whilst getting to speak to other adults yey!!!! Babes in arms are welcome but please keep in mind there is limited space for buggies in the cafe. If you want to come without babies that is more than ok, some mums use our breakfast clubs as a morning off! It is up to you!! On the back of the first being such a triumph Lucinda will host TMC Breakfast Club at April’s Kitchen in Knutsford again!!! Exciting. On the back of last years success we are running more Wreath Making evenings (night off!!!!) again this year!!! These are our favourite events and sell our FAST!! Turns out you all love Christmas as much as us!!! 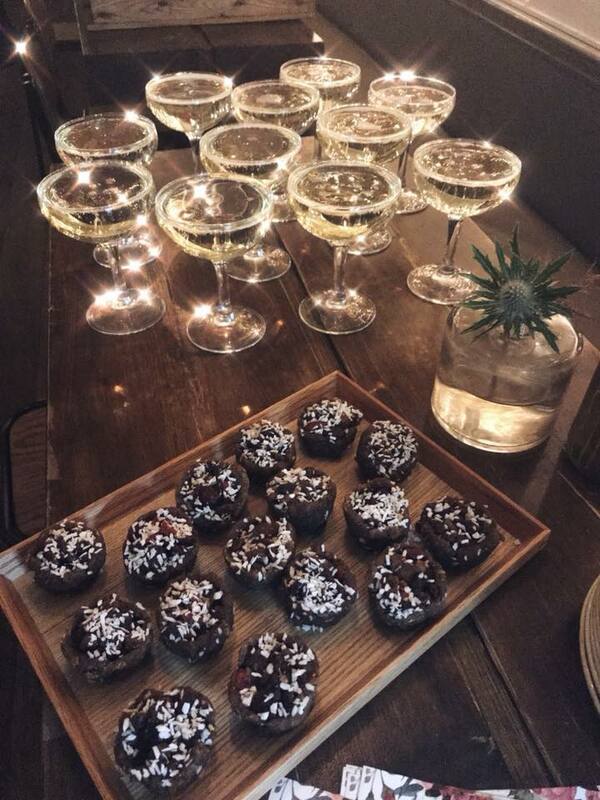 So its a pleasure to share with you our WREATH MAKING KNUTSFORD: An evening of festive fun at Wine & Wallop with like minded mummies and mums to be. 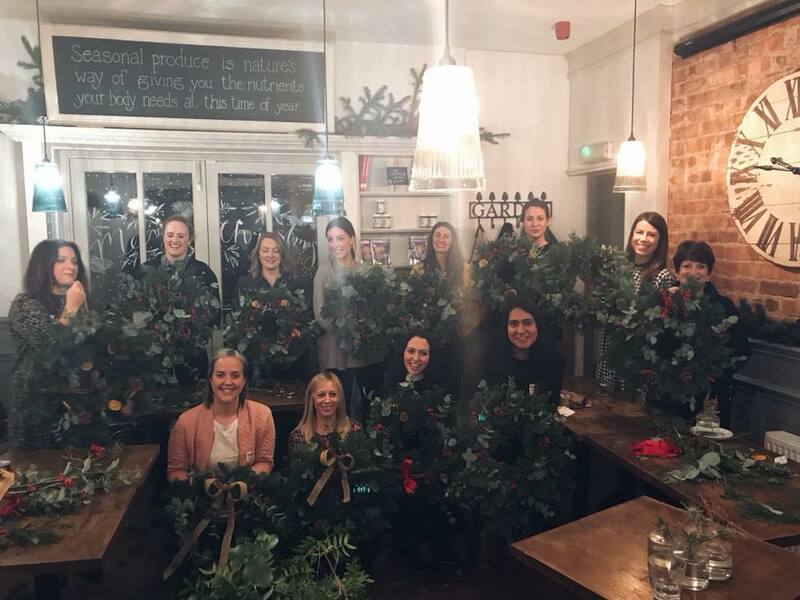 Come alone or come with a friend and enjoy a wreath making tutorial with the wonderful florists ' Flowers at the Dutch Barn' along with a glass of prosecco and festive nibbles! The tutorial will start prompt at 7pm, and you should be done by 10pm.